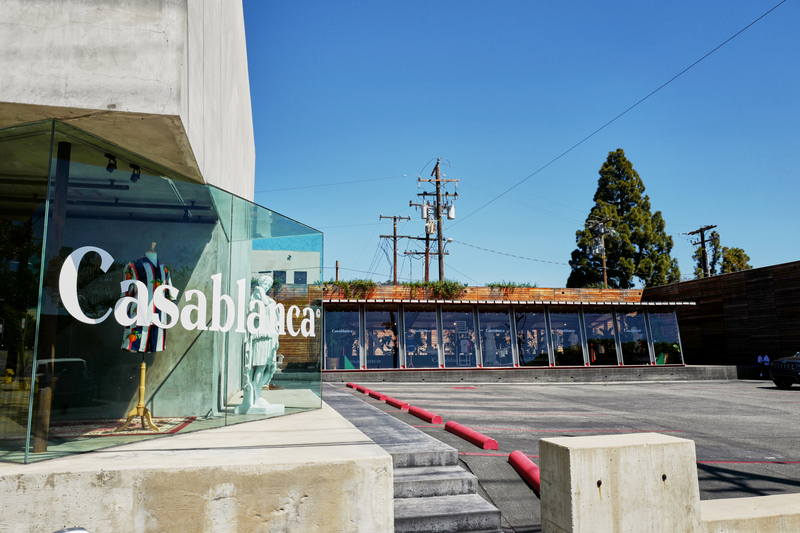 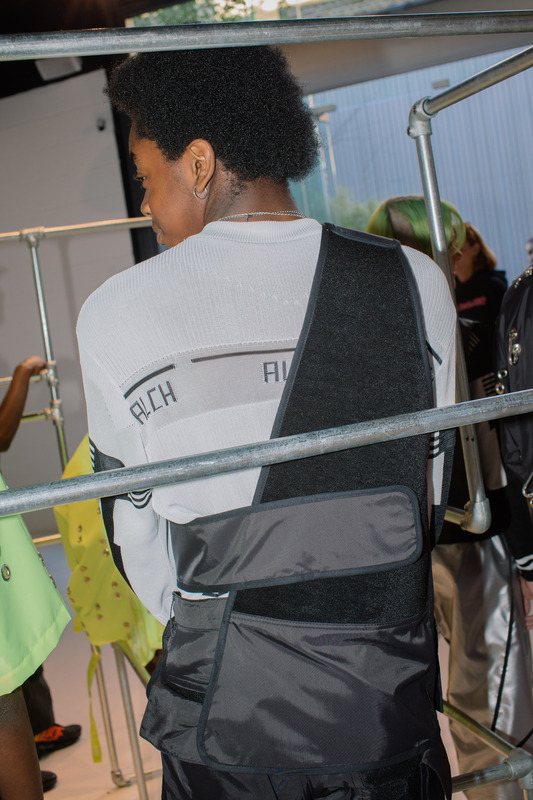 Sometimes, especially lately with social medias hand firmly grasped around the industry, designers explode onto the scene— seemingly out of nowhere, quickly climbing their way up the fashion world totem pole and immediately finding themselves pasted amongst the Fashion Week schedules. 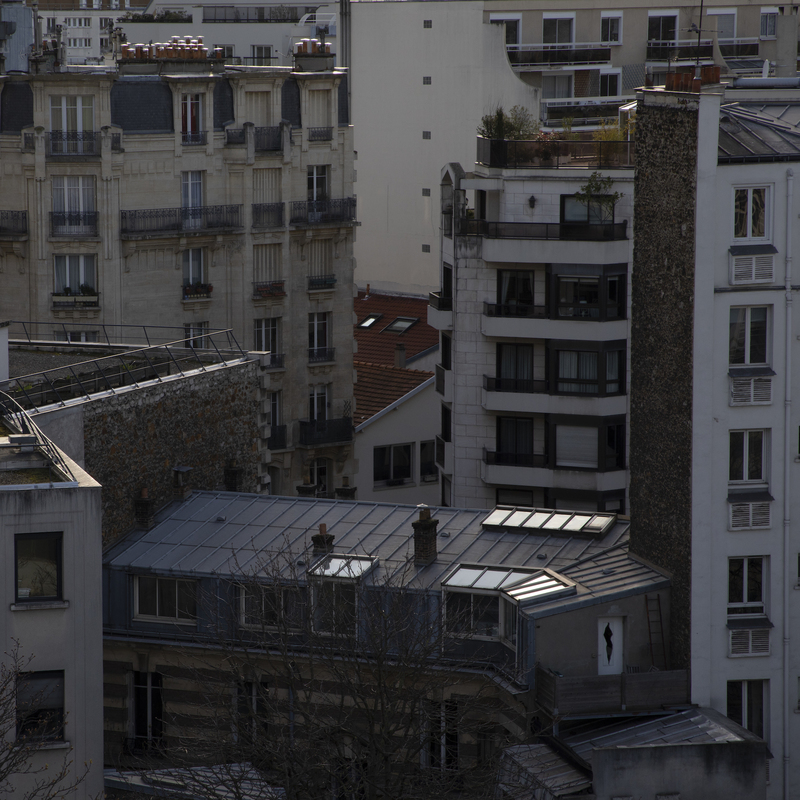 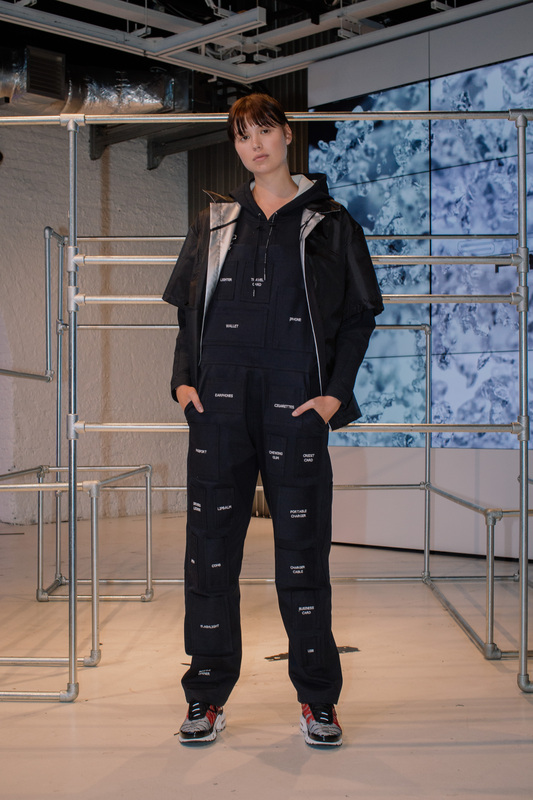 We often forget that a designers slower-path can be a concious ameplan, as is the case with Alexandra Hackett. 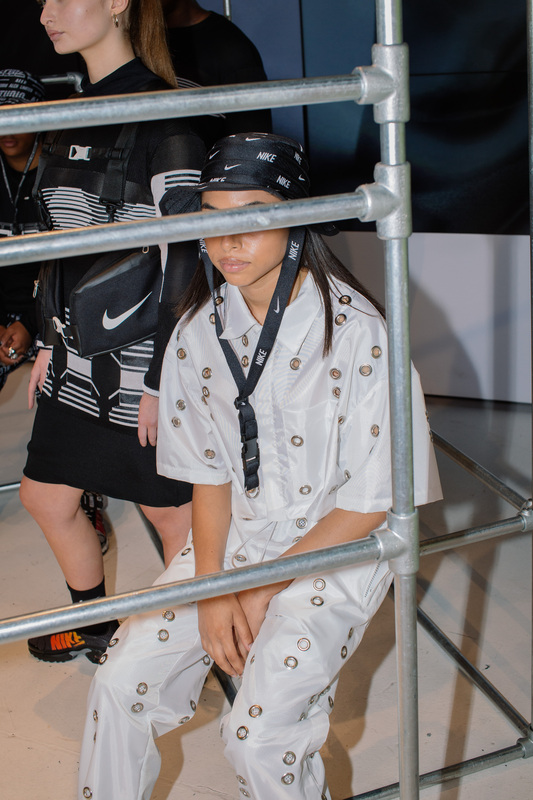 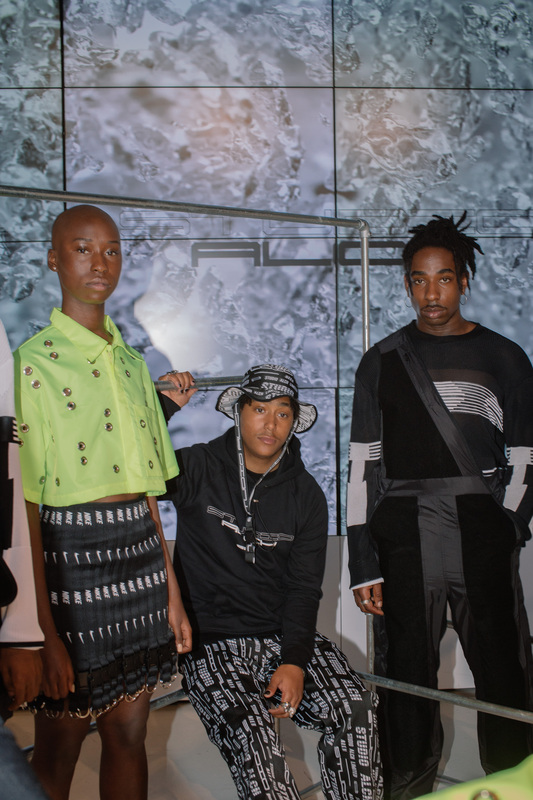 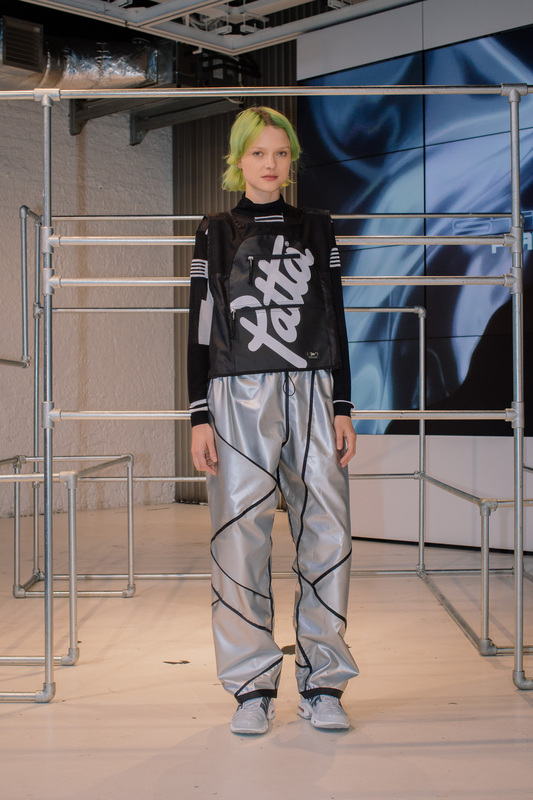 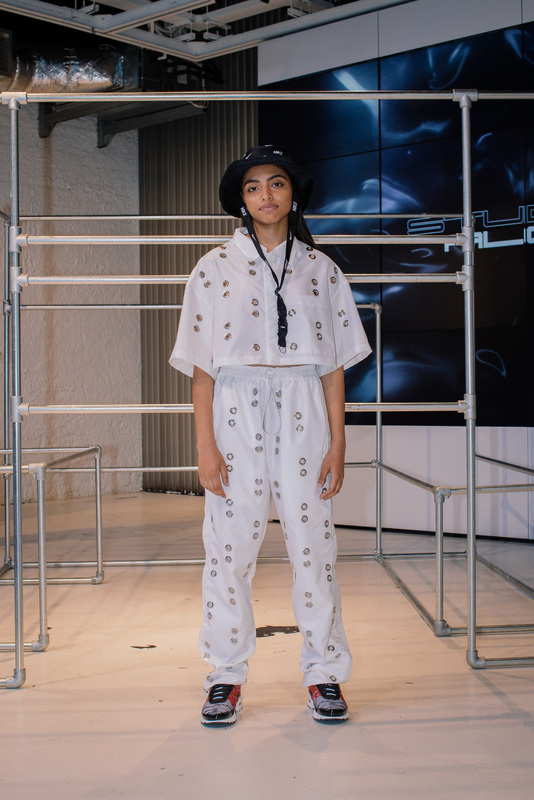 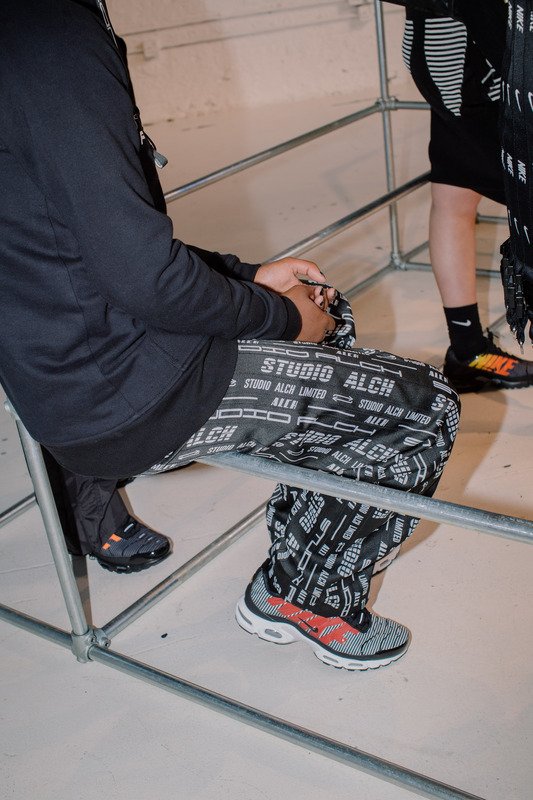 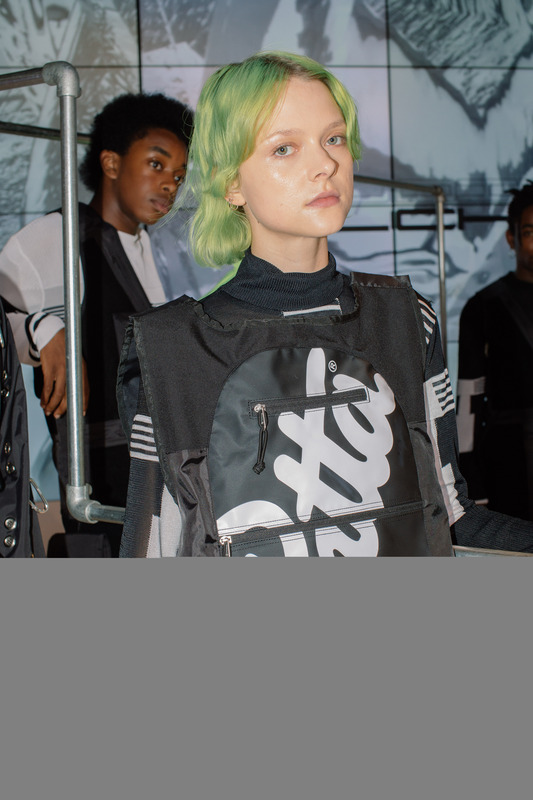 The Australian born, London-based genius behind the menswear label Studio ALCH has become known for her one off garments, often created out of repurposed Nike staples (think Nike duffle bags as overalls and sport socks as knitwear), over the past five years. 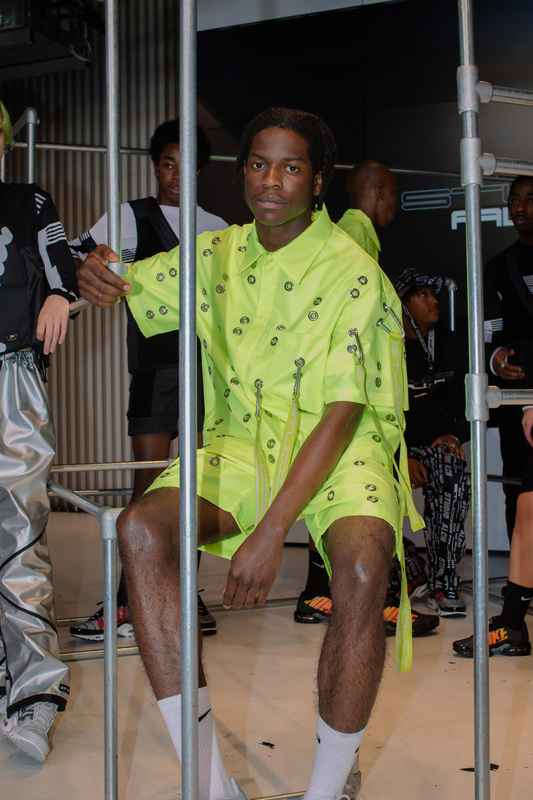 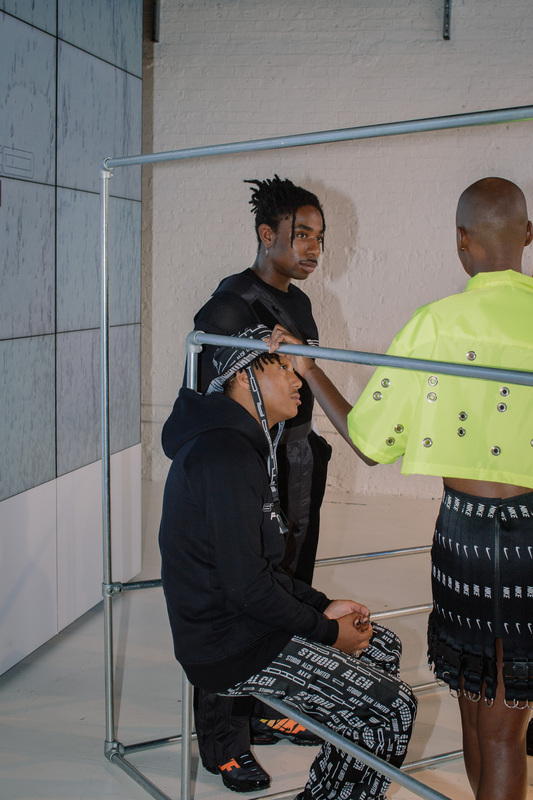 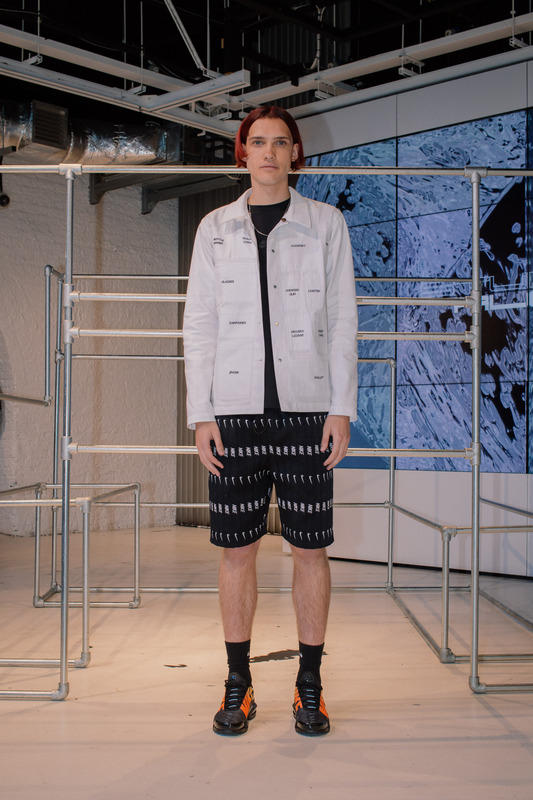 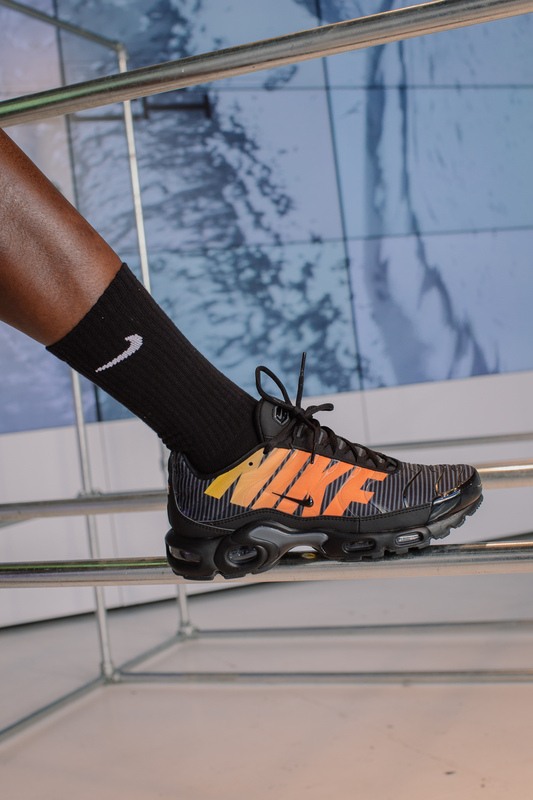 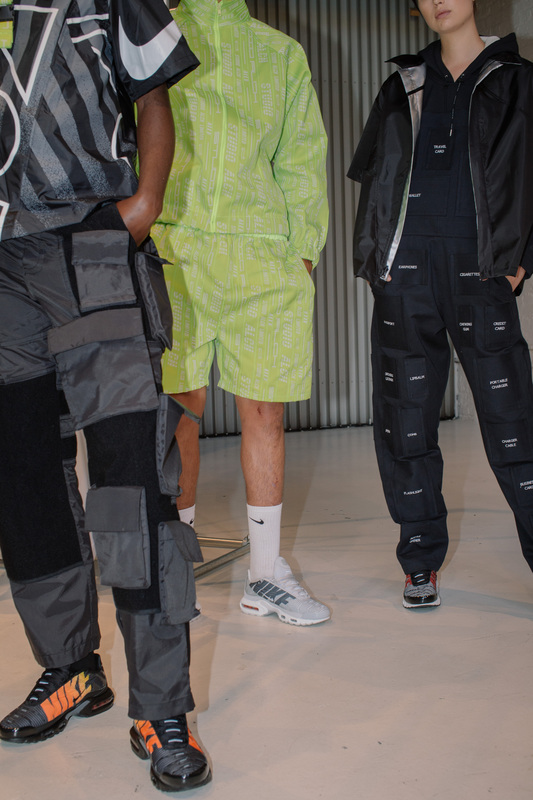 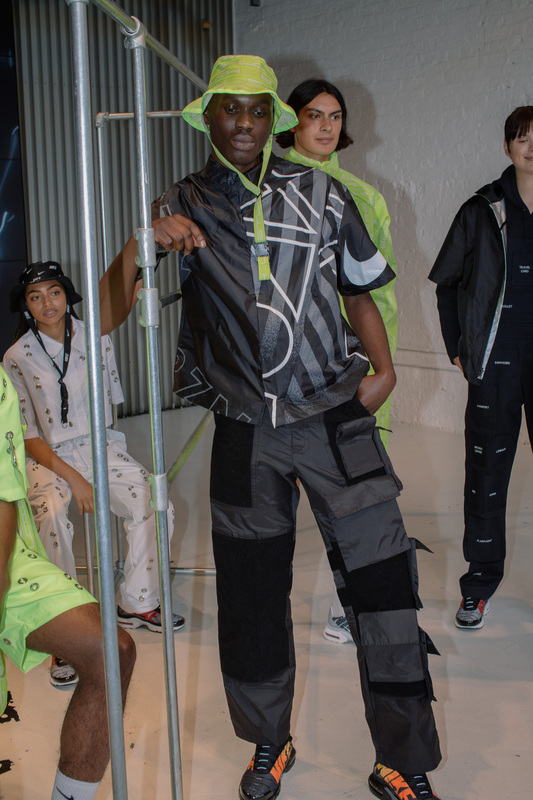 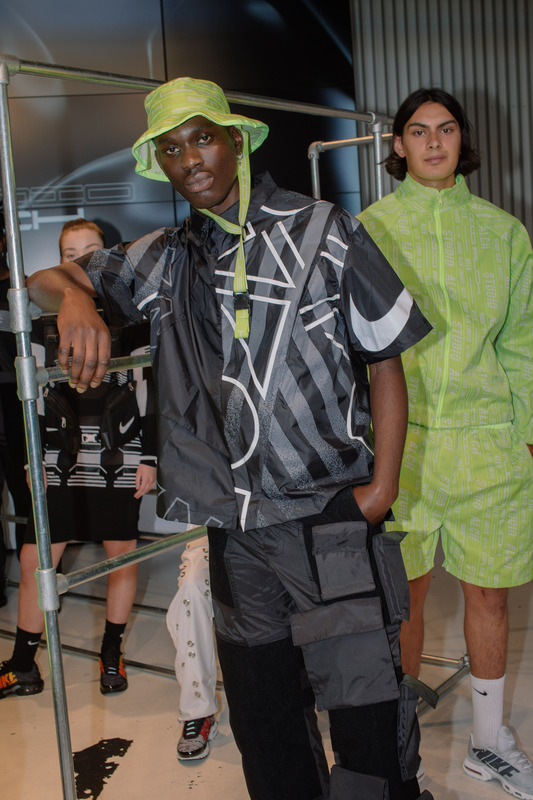 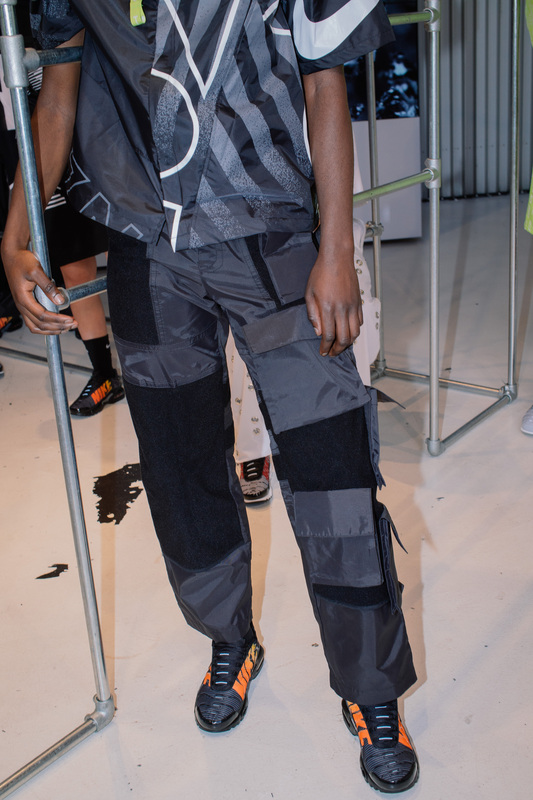 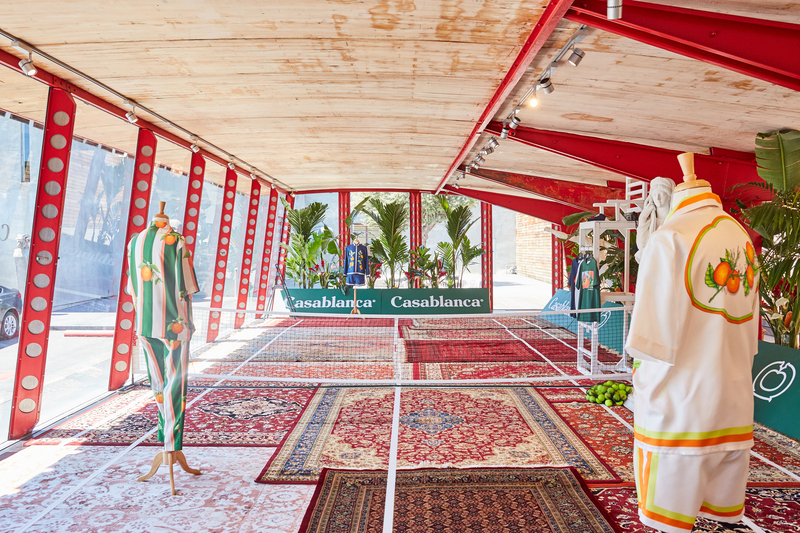 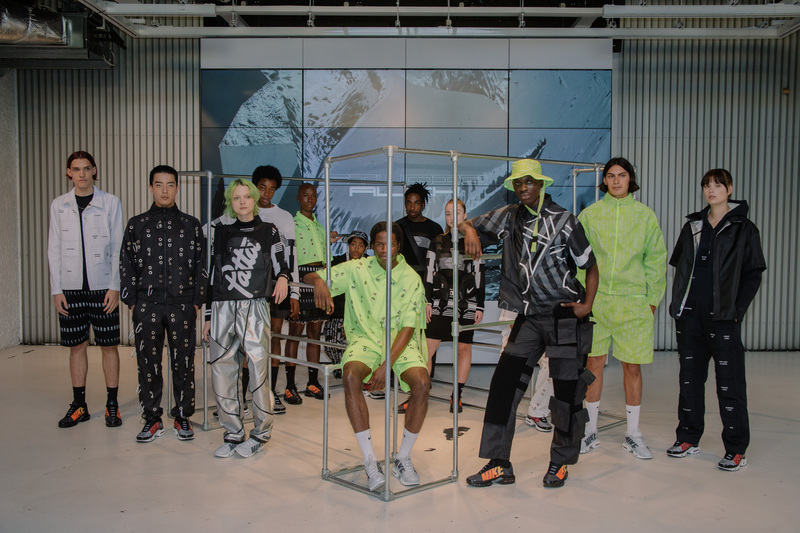 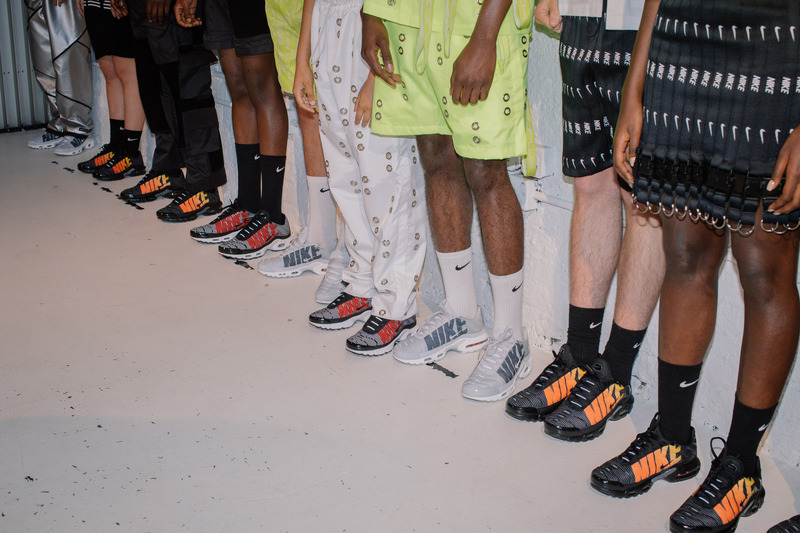 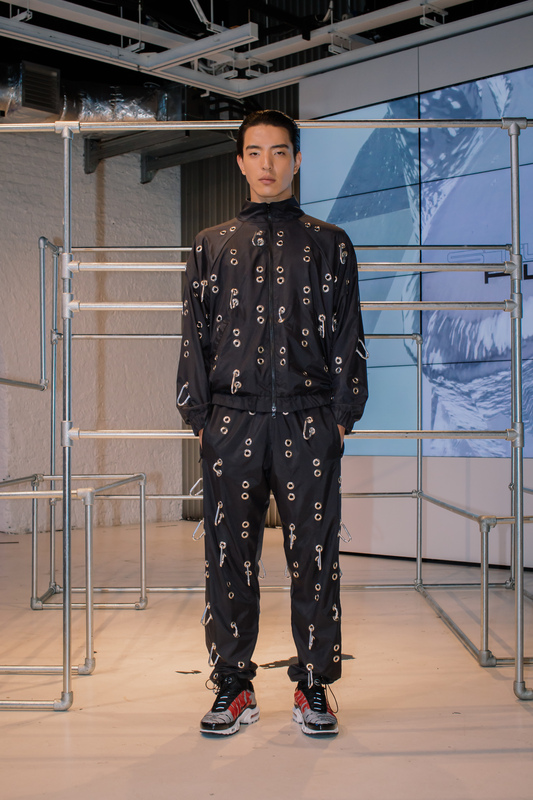 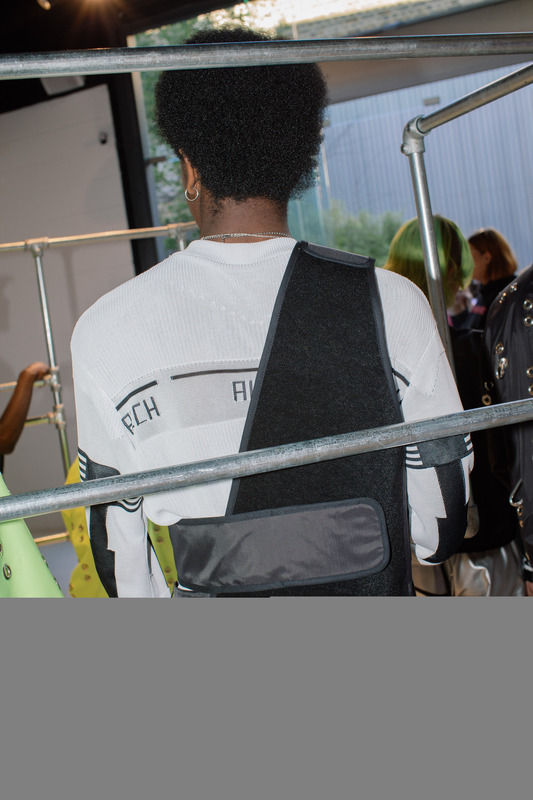 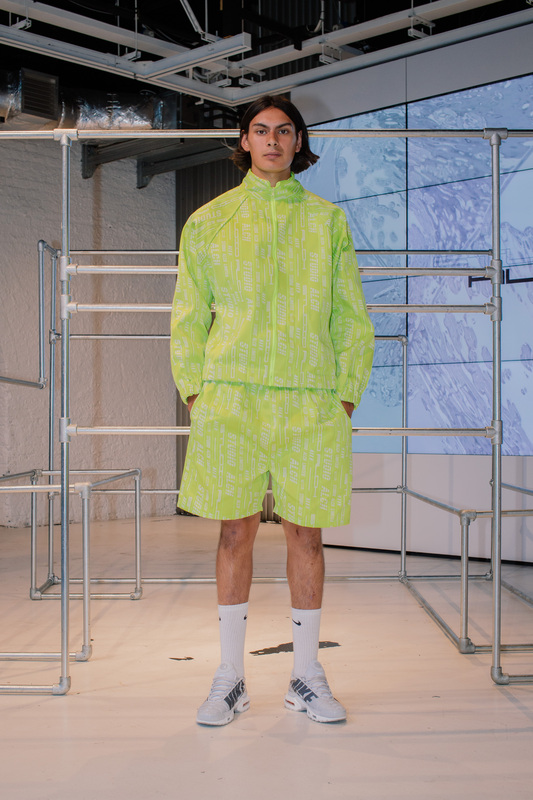 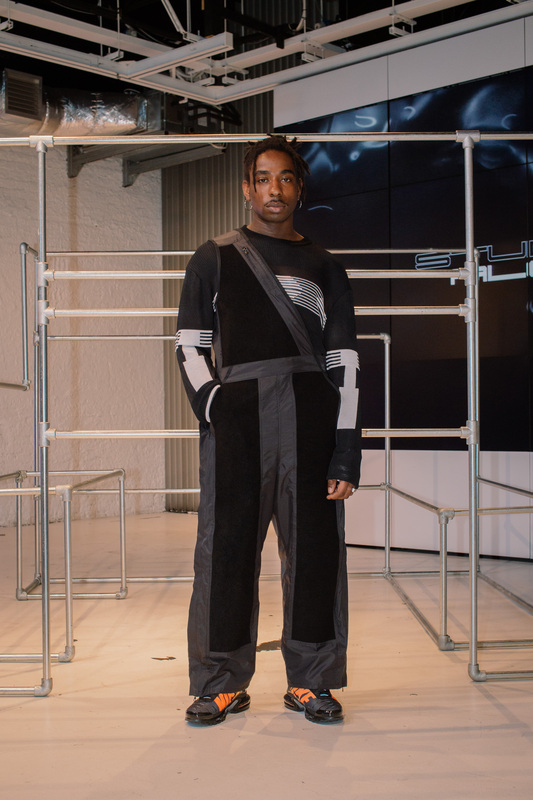 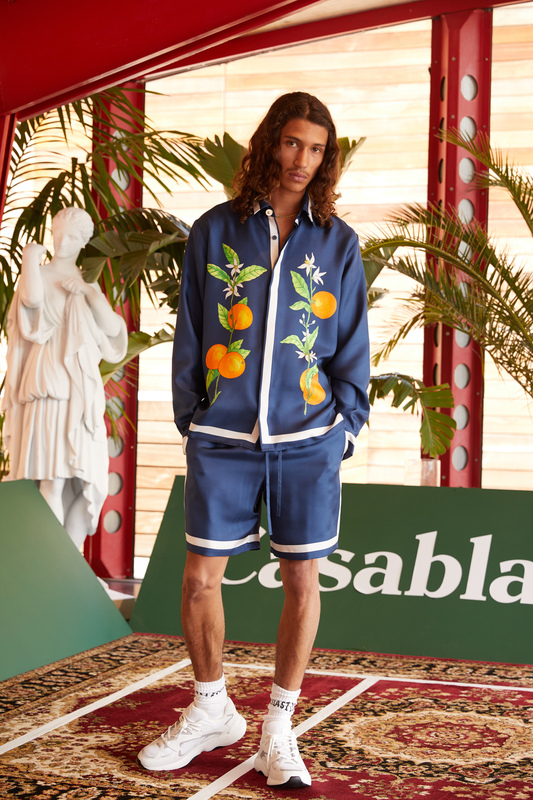 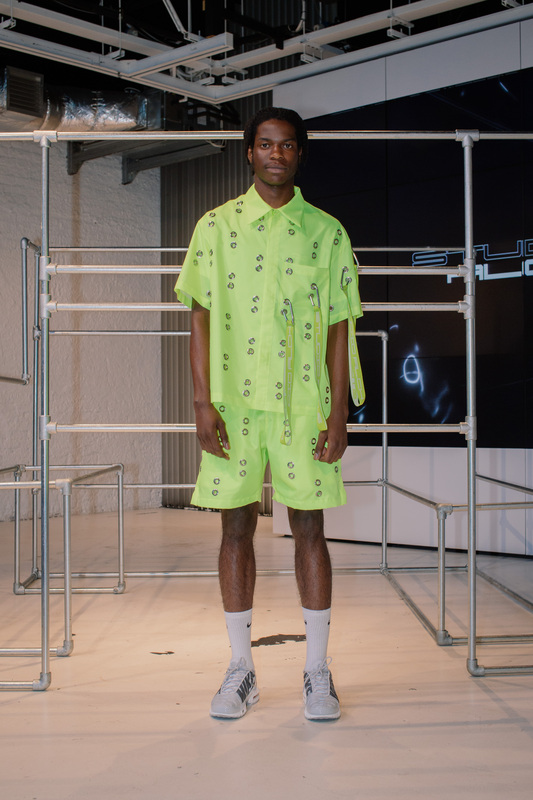 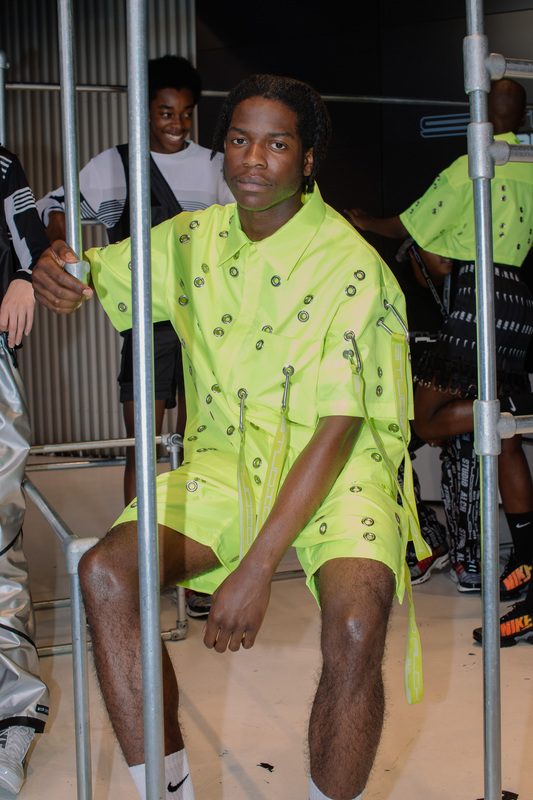 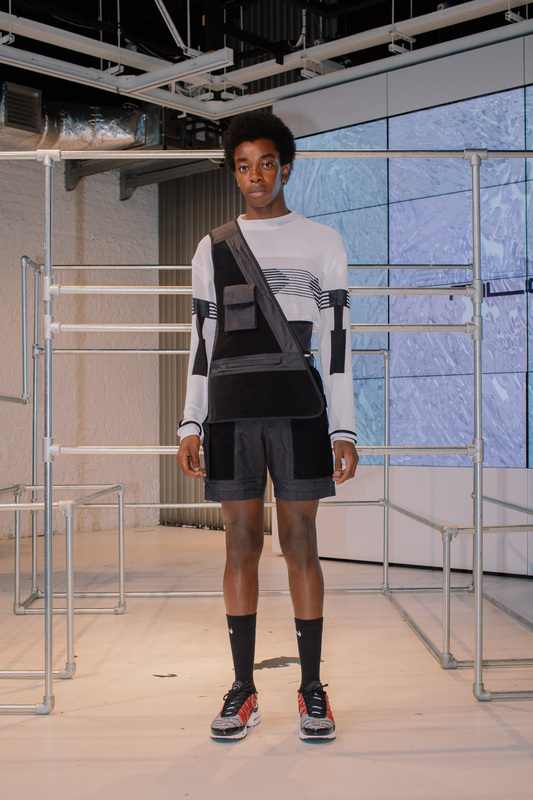 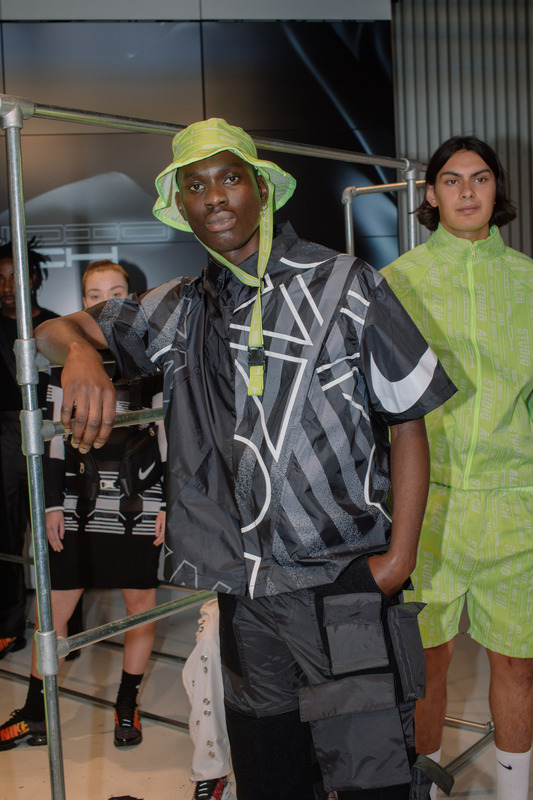 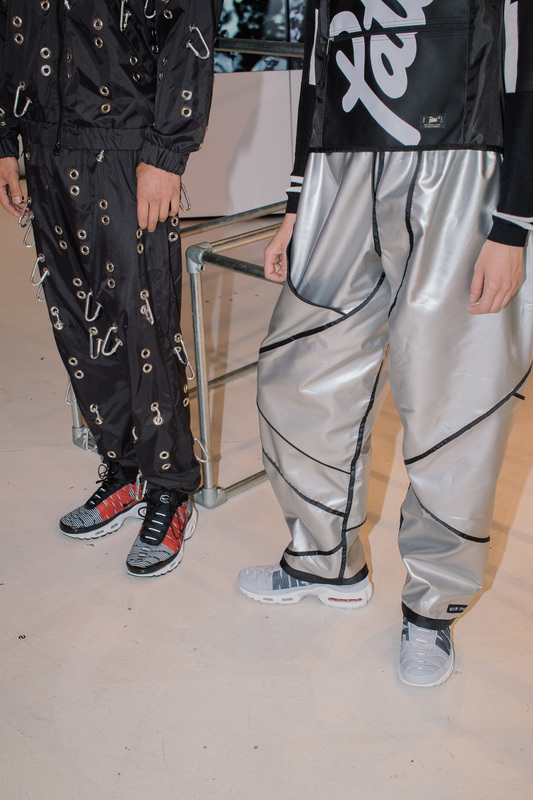 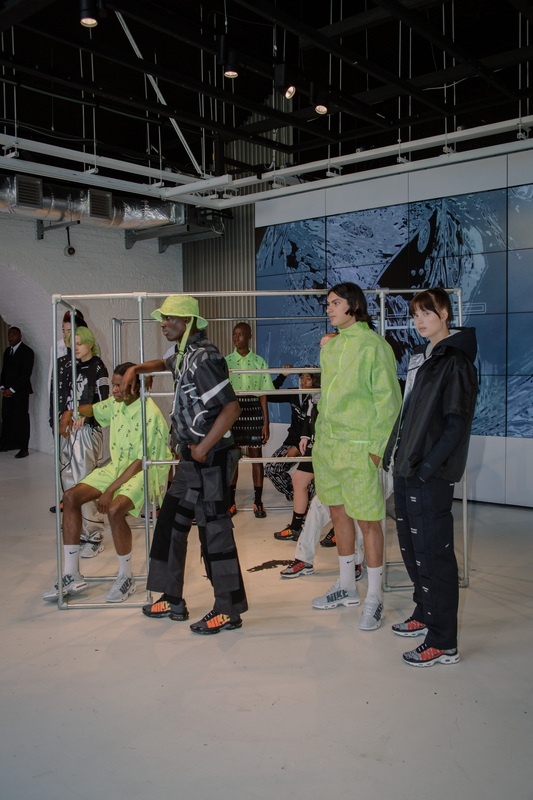 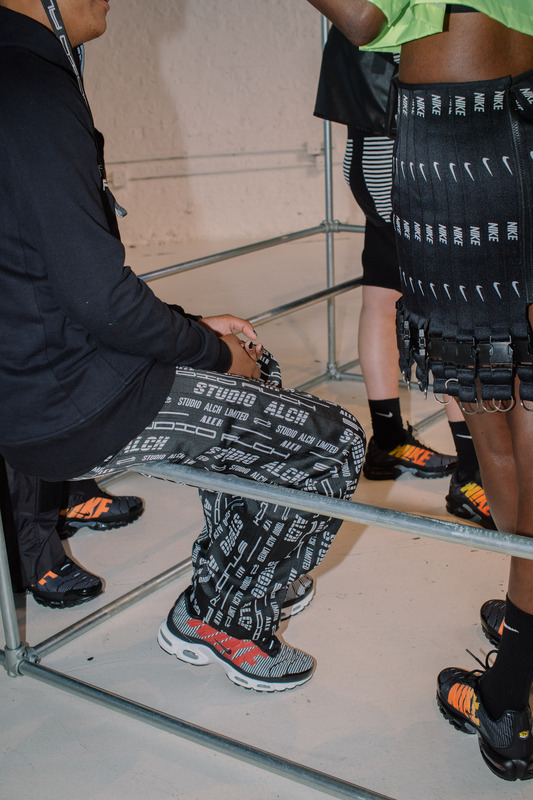 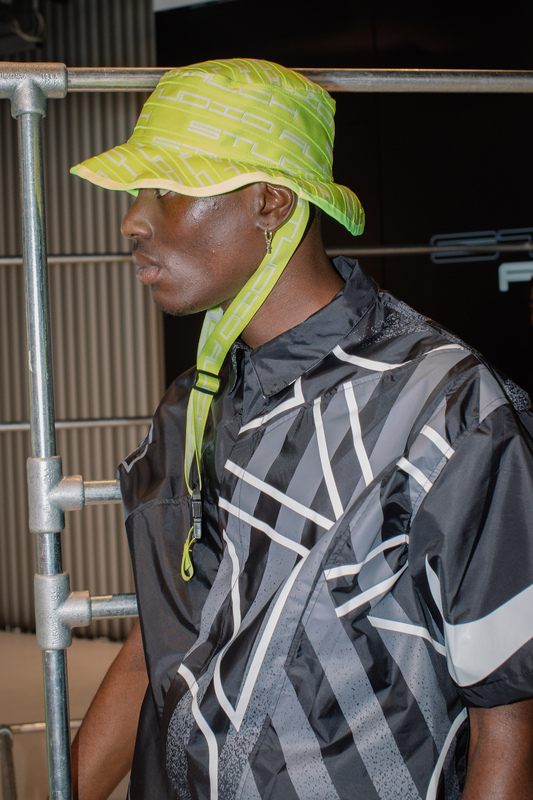 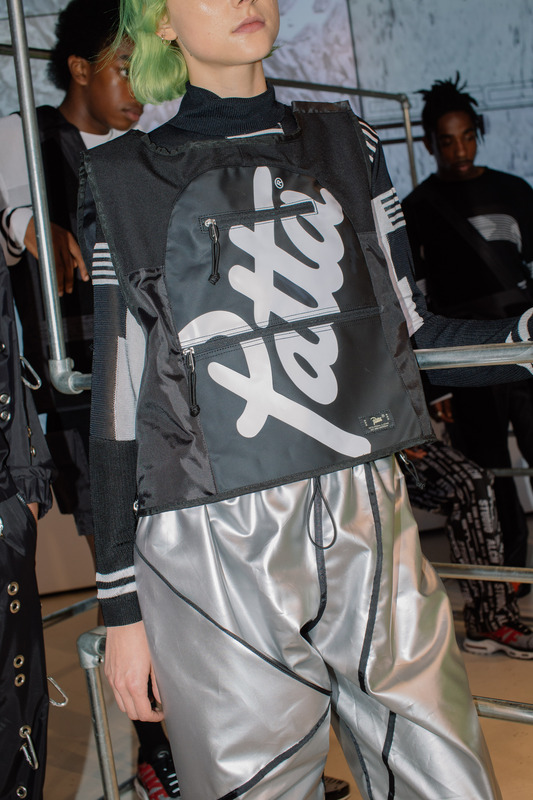 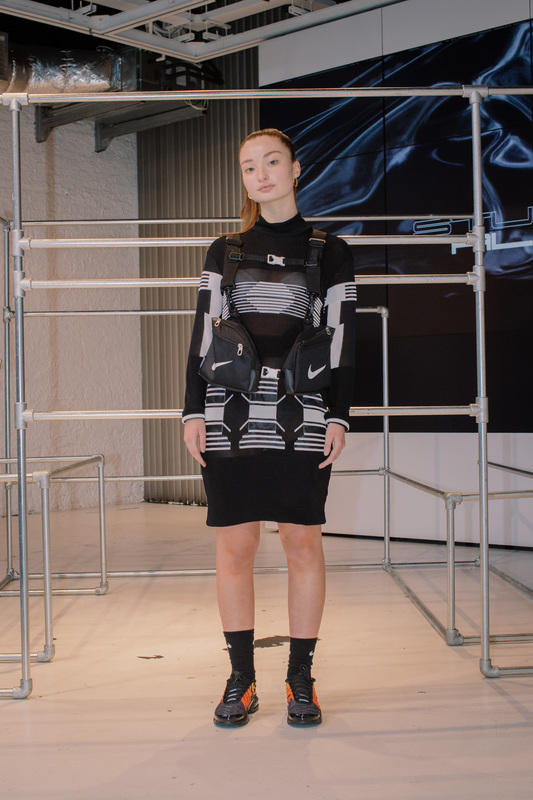 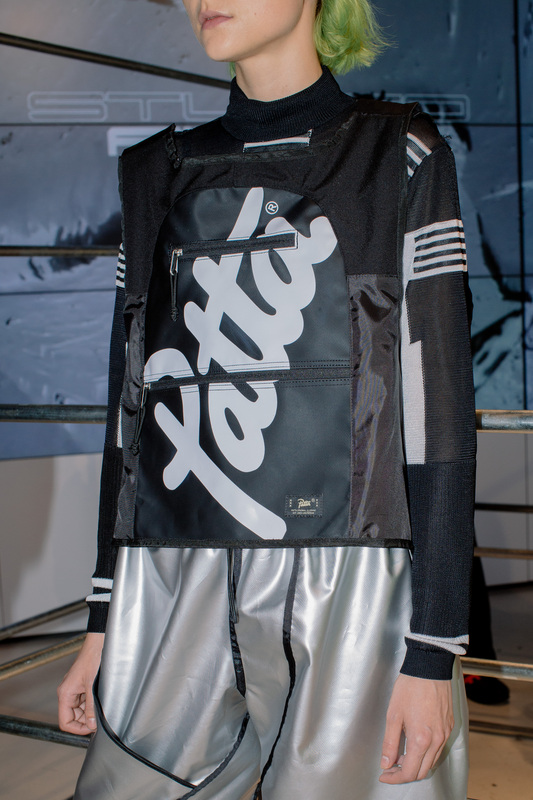 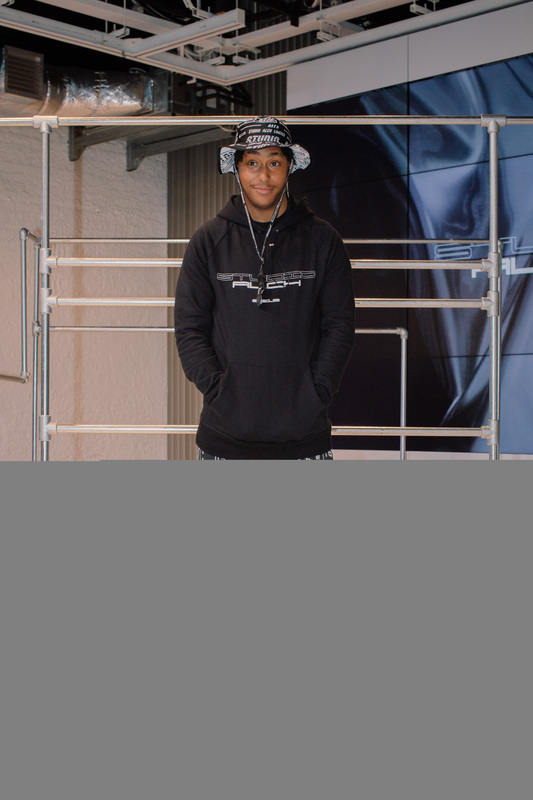 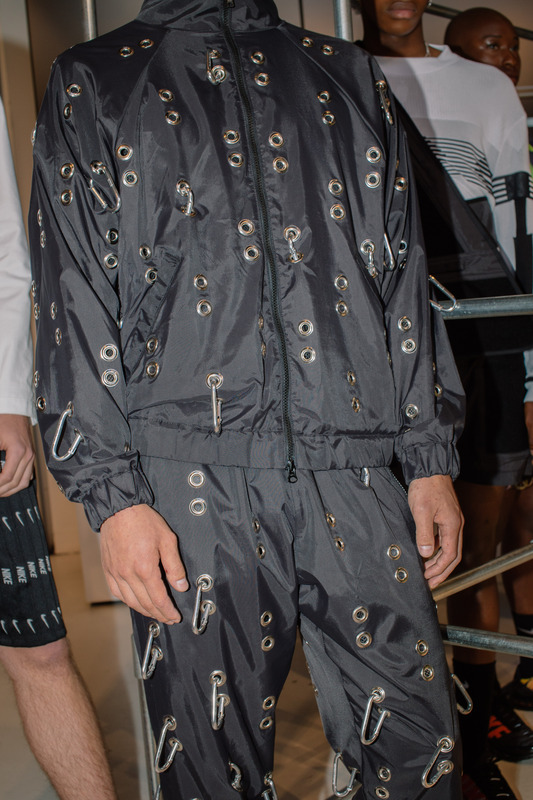 With Hackett's off-kilter— but undoubtedly creative— ability to reappropriate everyday Nike sport pieces into a hyped masterpiece is no surprise whatsoever, that her London Fashion Week Men's debut stems from the very same tight-knit collaboration with Nike that we are used to seeing. 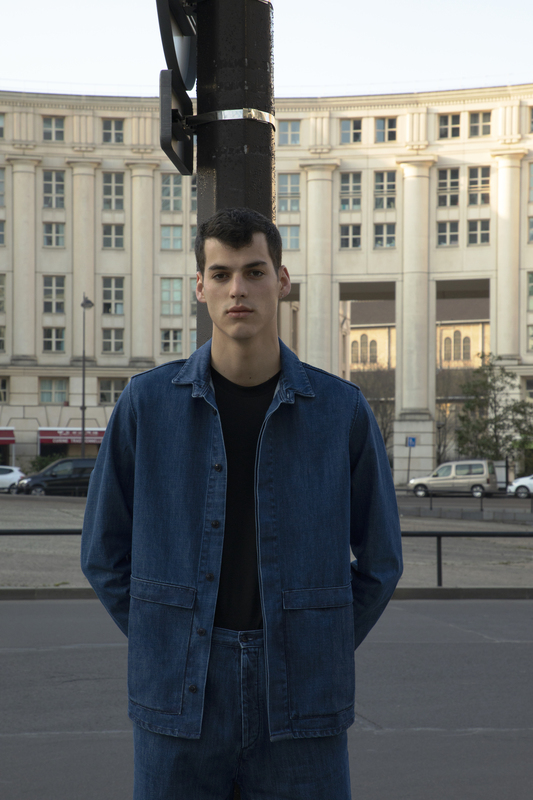 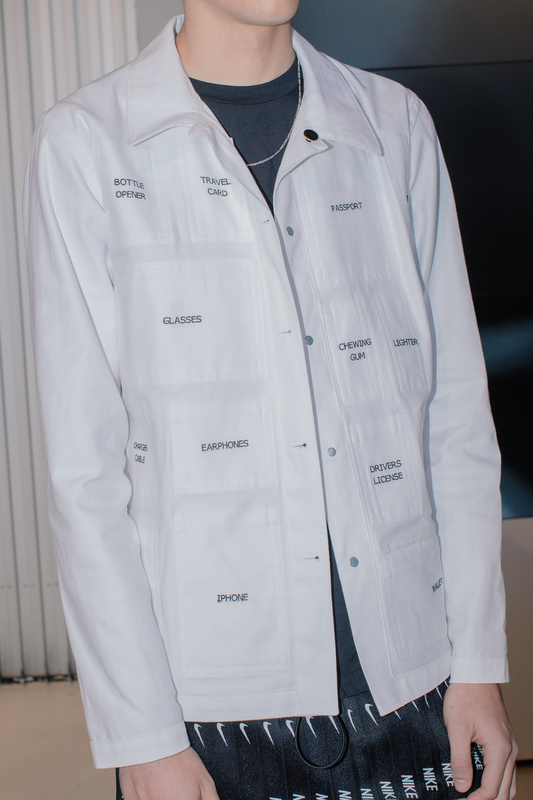 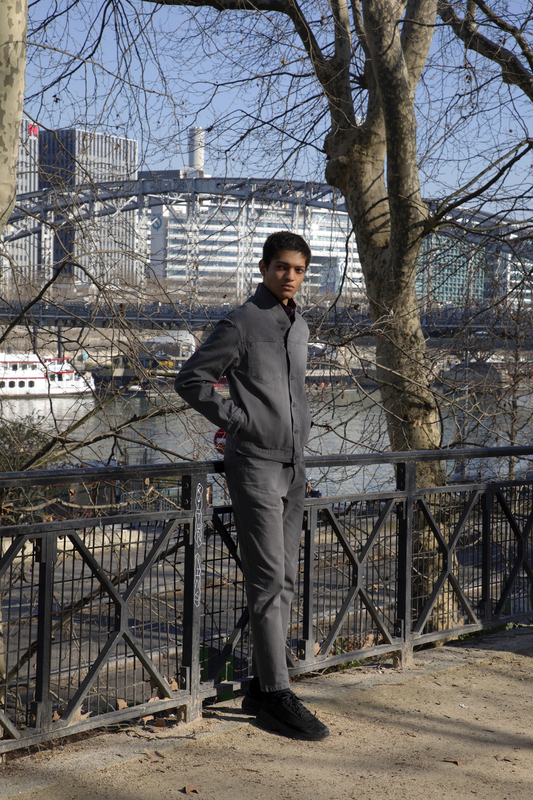 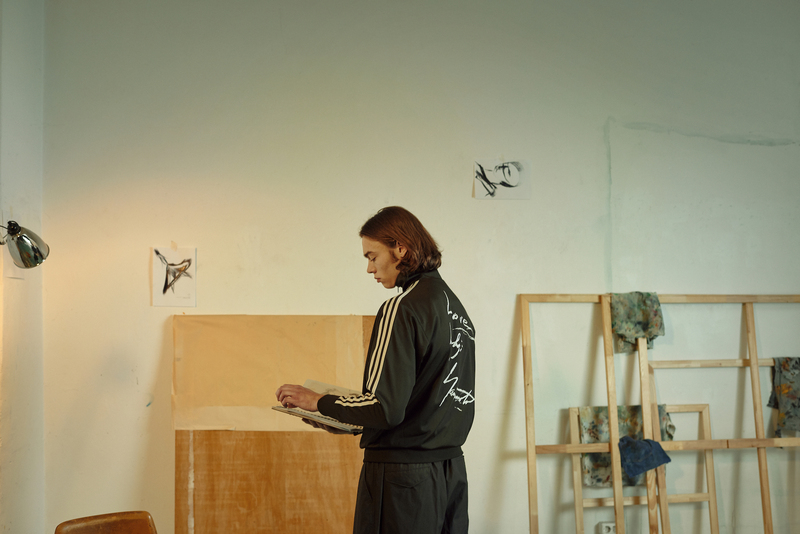 The pieces are more complex than tradtional sportswear. 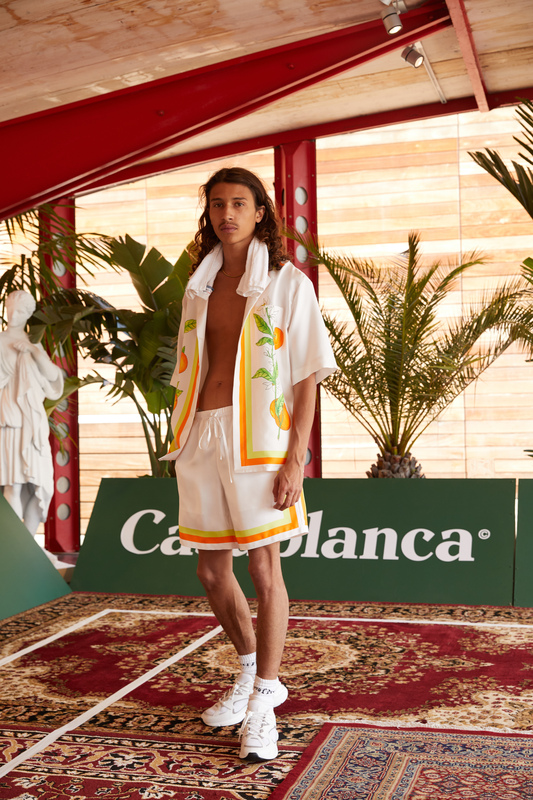 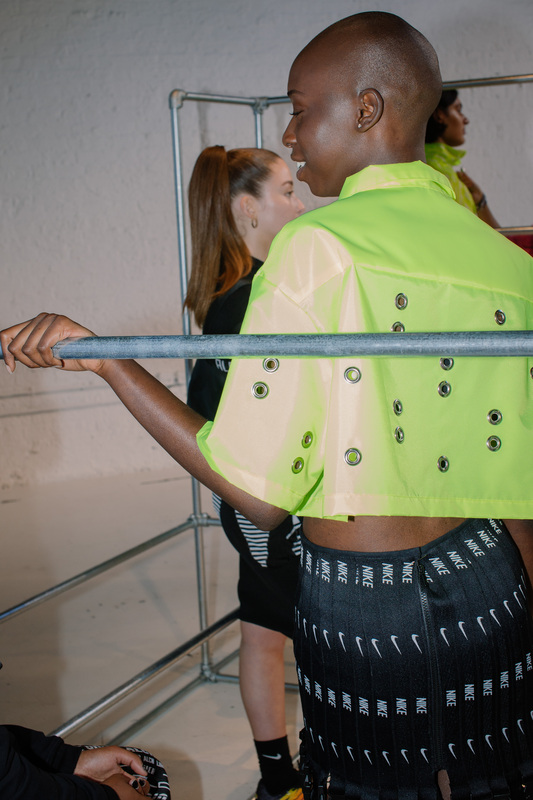 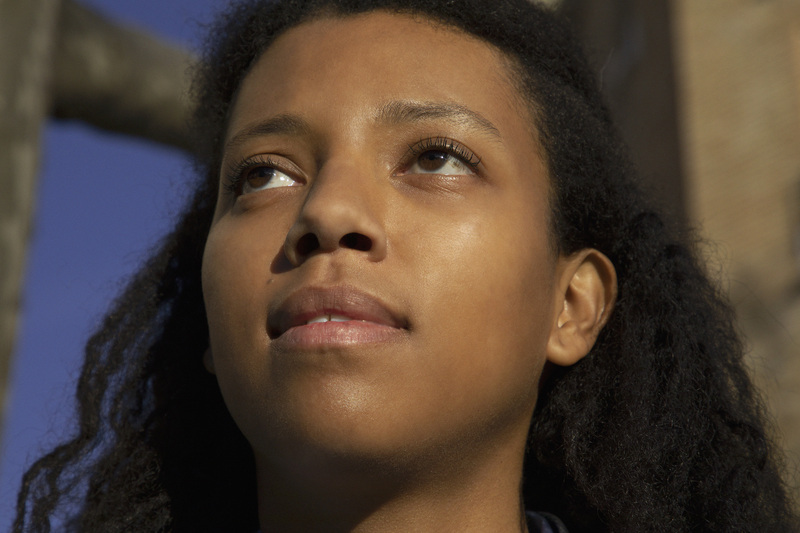 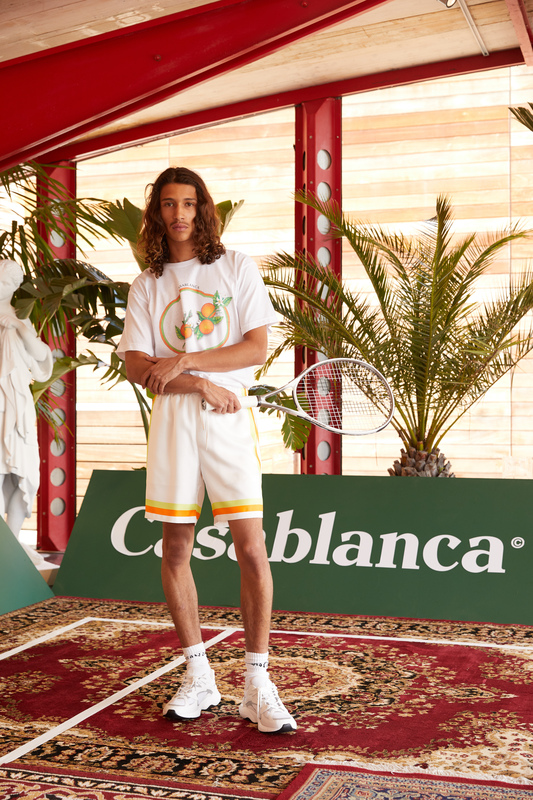 It takes familiar silhouettes like track suits, tennis skirts, and deconstructs and rebuilds them into fresh, new pieces. 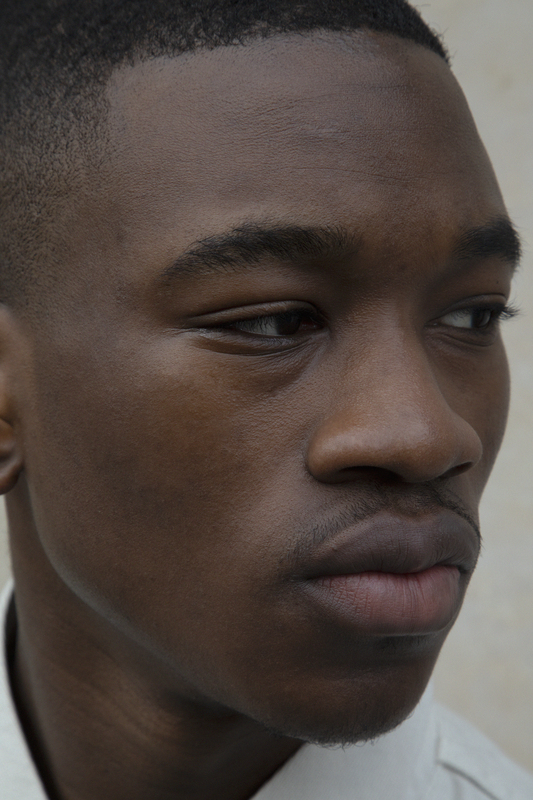 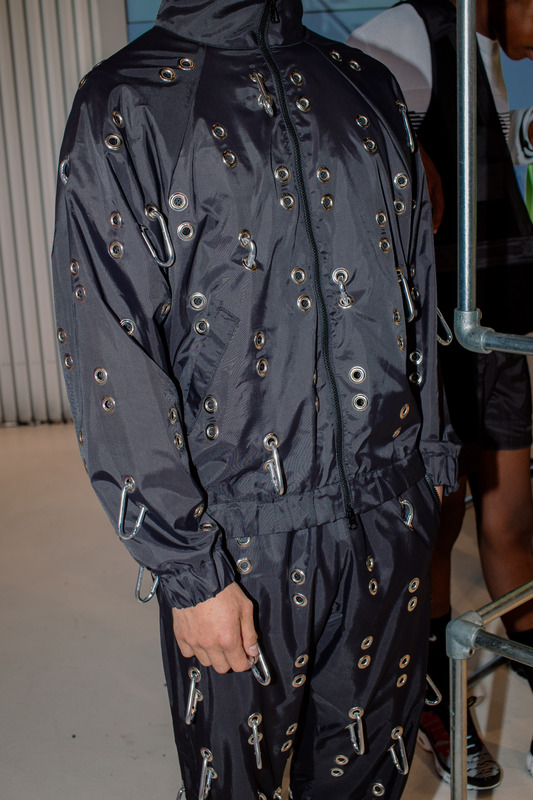 Hackett decks garments out with gigantic eyelets, oversized ALCH tags, and velcro paneling. 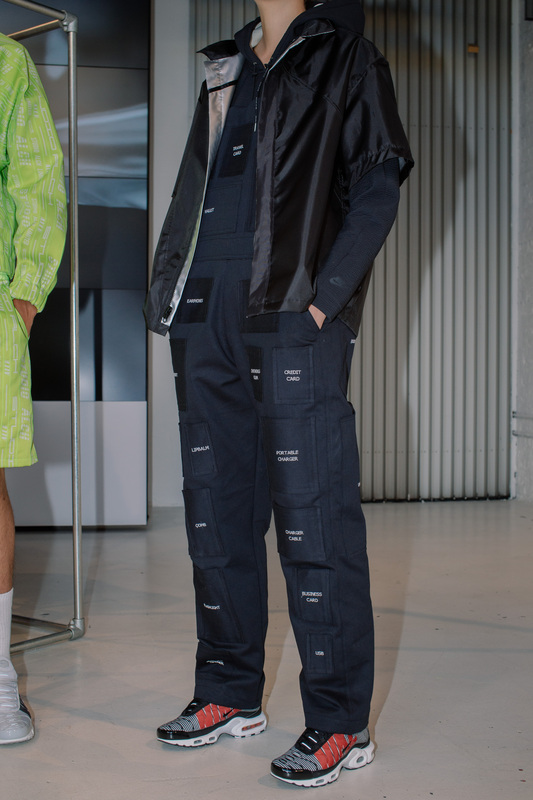 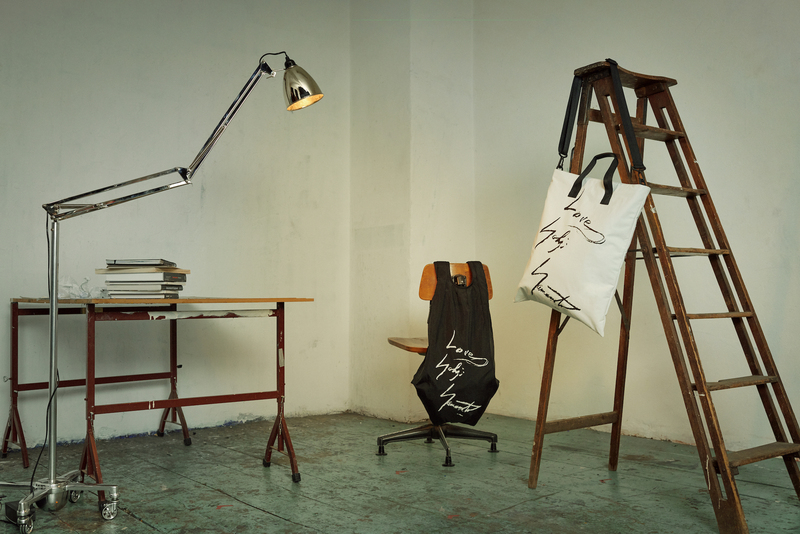 The collection looks highly functional, but takes inspiration from an old Japanese practice called Chindōgu that, according to the show notes, involves inventing that are "not entirely useful, but simultaneously not useless”. 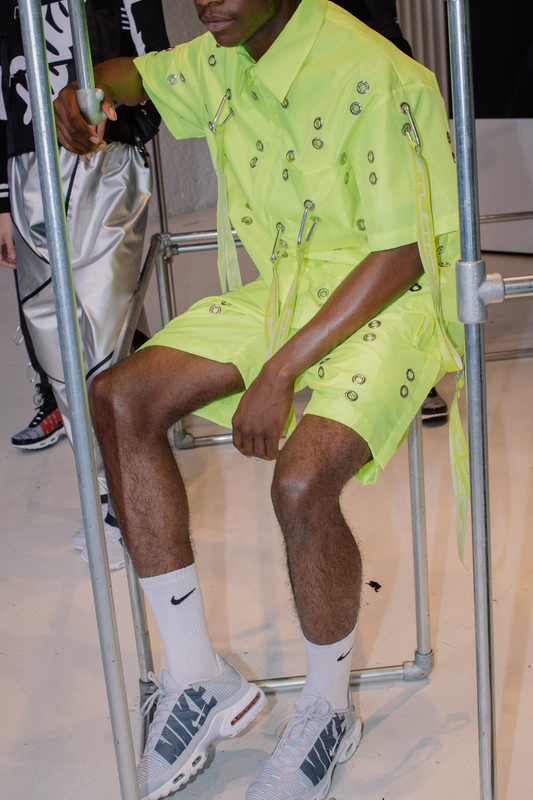 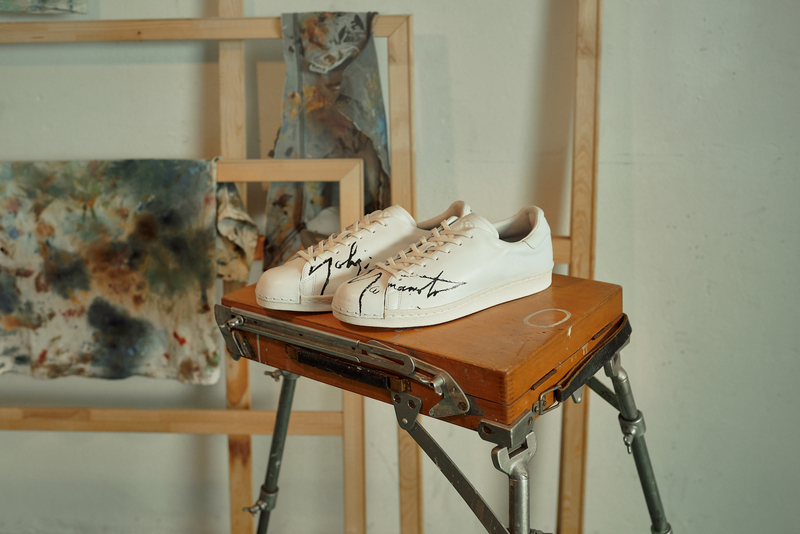 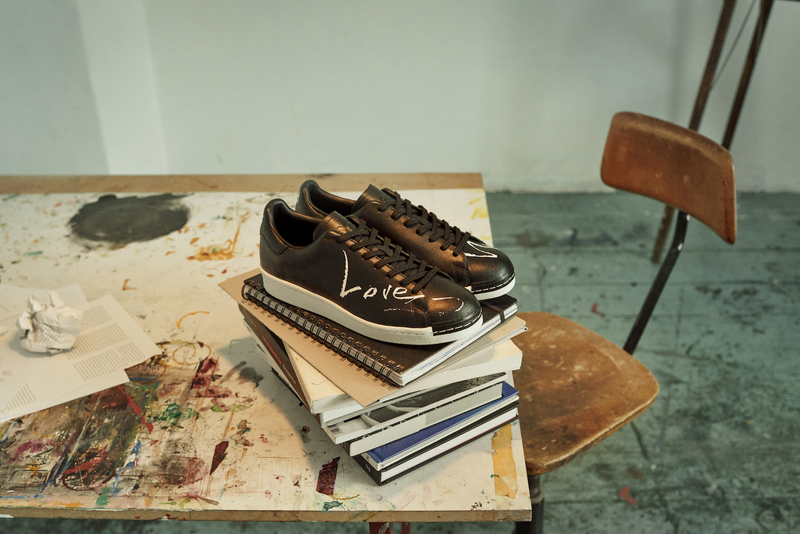 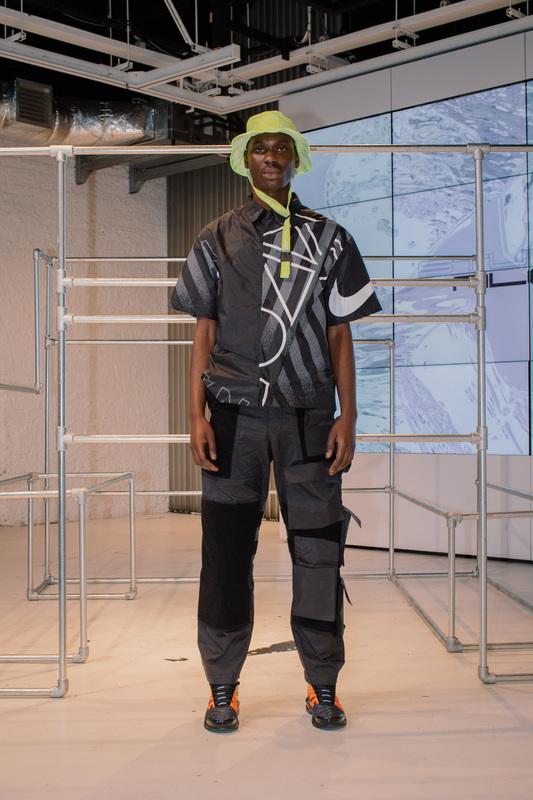 The result is, of course, an incredibly unique take on the sportswear inspired collection that is currently taking the industry by storm. 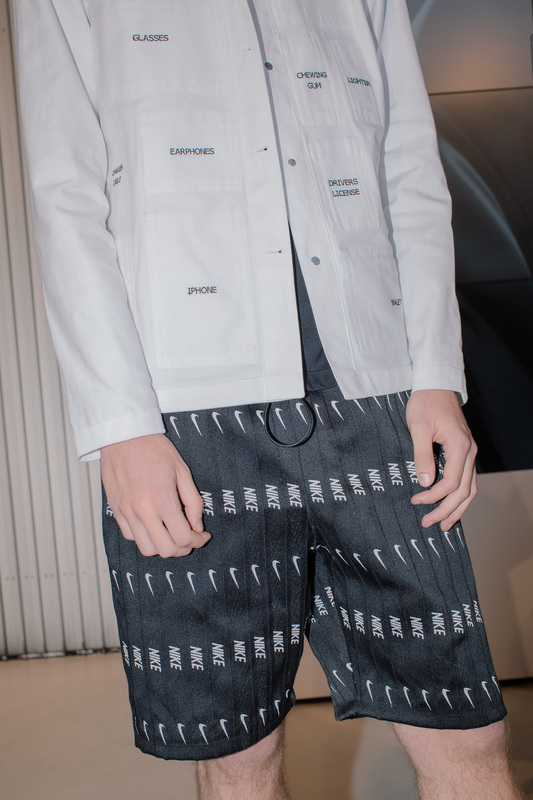 Truly Thom Browne— this represents an invigorating evolution, both the show and collection a creative journey through the seasons.